Important Notice: PLEASE BE AWARE OF ANY INVOICES SENT TO YOU FROM FAKE EMAIL ACCOUNTS IMPERSONATING CAR JUNCTION COMPANY JAPAN. 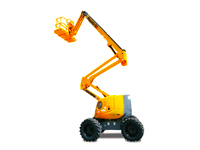 Heavy machinery is part and partial of construction and agriculture industry almost everywhere in the world. In this modern era even smallest construction is considered impossible without using heavy equipment; it is required very where, from clearing construction sites to tow material, or to grade earth or ascending/ move material through cranes etc. Heavy machinery has evolved through the era of inventions and now we can get specific and particular machines for particular tasks. There is too much variation available in heavy machinery, and technology has totally changed the concept of heavy vehicles. Earlier in late 90’s heavy machinery was dependent upon manpower and animals power. Later steam power replaced humans in early 20’s. 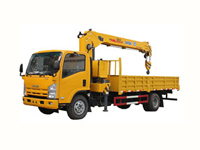 If we speak about categories of heavy machinery so we have Track type, Backhoe, Loader, Roller, Bulldozer, Grader, Excavators, Crusher, Cranes and many others available to make our work easy for us. Every category has many machines available in it.